On this episode we discuss the somewhat overshadowed assassination of Bobby Kennedy. Younger brother to the infamous JFK, former Attourney General and at the time of his death, highly probable candidate for the next President of the United States. He was gunned down, under suspicious circumstances on June 6th, 1968 in the Ambassador Hotel at the hands of purported mind control victim Sirhan Sirhan, maybe on the behest of the CIA, or a host of other suspects Bobby collected as enemies over the years. On this Podcast we go back to the overflowing well of conspiracy theories that is the assassination of Bobby Kennedy and the stories of the Kennedy family. 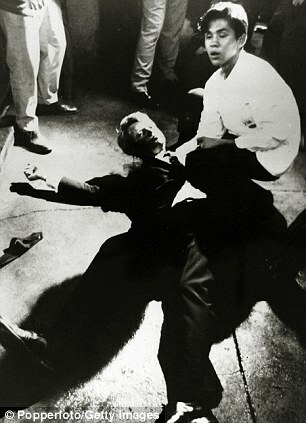 This time it’s the assassination of Bobby Kennedy. The heir apparent to the new cultural movement that swept his brother John into the White House. 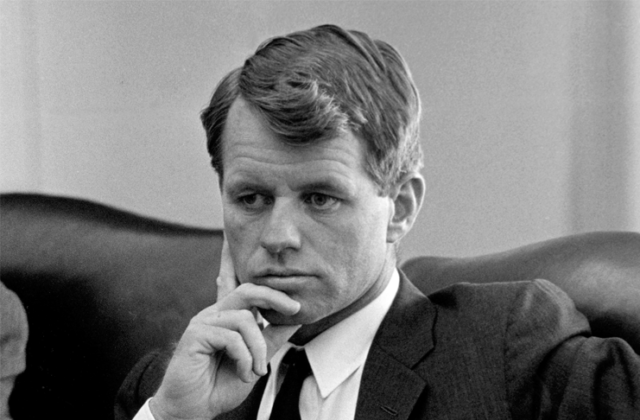 [inlinetweet prefix=”#RFK” tweeter=”@tconspiracyguys” suffix=””]At the time of his death in 1968 RFK looked set to carry that momentum into his own successful presidency[/inlinetweet]. After the murders of President John Kennedy and Dr. Martin Luther King Jr. the peace, love and integration movements of the era looked set to collapse under mounting government pressure and a cultural atmosphere that looked ready to explode. But Bobby’s campaign for a Presidential nomination gave a new figurehead to the movement for change and reform. He looked set to unite a new generation of American society scarred by discrimination and the Vietnam War. Until his opposition to the powers of corrupt government entities, big business and the war industry was snuffed out in eerily similar circumstances to his brother’s death. We’ll talk about the swinging times and the sweeping change of 1960’s America and the societal movement that died with RFK. His early life was spent flailing in the shadows cast by his prestigious family name. Bobby watched on as his prodigious siblings successfully found their professional feet. But after wrestling with an unfulfilled Naval career he would soon discover his own personal calling. His time as an attorney would see him rise to public prominence as he joined Joseph McCarthy’s fight against communist infiltration of American society. But it was when he joined forces with brother ‘Jack’ that their dedicated and dashing alliance would change the face of American life. 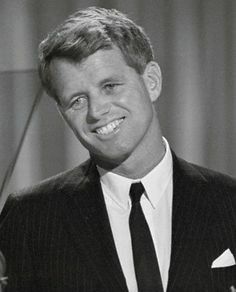 As JFK’s campaign manager the charisma of Jack swayed young voters and the shrewd diplomacy of Bobby secured the support necessary to take the White House. There Bobby would rise to the position of Attorney General and would set about a ruthless war on organized crime, political corruption and government agency oversight. But all this would end with the murder of JFK. Bobby blamed himself for the enemies he drew to their administration. The communists and powerful political makers he enraged as a lawyer. The rift with dangerous vice president Lyndon Johnson. The mafia families and connected business men he attacked as Attorney General. And the war started with Cuba, the CIA and the FBI in the wake of the Bay of Pigs scandal and Castro assassination plots. We’ll cover all the steps along the way and the dark forces that led to the assassination of Bobby Kennedy. As Bobby returned to the political arena as a New York state Senator he would bow to his supporters pressure and join the race for the Presidency. But all roads would lead to the Ambassador Hotel in Los Angeles. As the official narrative goes he arrived to greet triumphant supporters but was ambushed in the hotel kitchen. A lone gunman, crazed and obsessed, would strike him three times and hit five other victims in an eight bullet rampage. Fearing the conspiracy theories that still dogged the death of JFK both the Johnson administration and the LAPD ensured the public of both a thorough and open investigation. But with uncomfortable echoes of past assassinations the theories began almost immediately. Material witnesses questioned the ballistics evidence, giving rise to theories of a second shooter. Others reported seeing a woman in a polka dot dress being part of the murder. The now infamous, narrative smashing forensic report of LA county coroner Thomas Noguchi challenged the investigation. 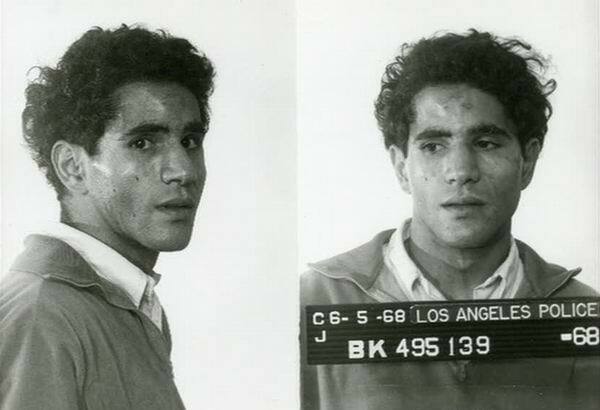 The hypnotic interviews of Sirhan Sirhan gave a chilling insight into the mind of the convicted killer leading and his curious history, motives and memory have led to suggestions of MK Ultra influence and a Manchurian Candidate style programmed assassin. Further investigations have continued to point fingers at armed hotel security guard Thane Eugene Caesar as being the second shooter. Recorded audio evidence of the shooting purports to show more than one gun. And the documentary RFK Must Die that points the finger firmly at the CIA. We’ll cover all the theories, connections and evidence of a secret society conspiracy and cover up in the assassination of Bobby Kennedy.